Pump up a tire, a basketball, an airbed and more at the press of a button - anywhere! This portable rechargeable inflator is a great way to ensure that you'll never get stranded by a flat tire again. It's great for sports balls and other inflatables too! 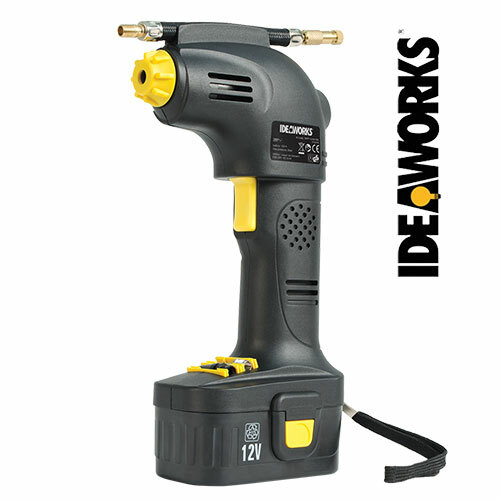 It's powered by a 12V rechargeable battery and provides up to 116 PSI for rapid inflation. Also features built-in pressure gauge, flexible air hose adapter and more. AC and 12V DC chargers included.